I had a rare opportunity a couple of Sunday’s back of being present at Dunham Road as people began to arrive. This was because we could not conduct worship at Urmston as the town was cut off due to the Manchester Marathon. As I stood at the entrance of the chapel I found myself chatting with Martin and Carolyn. Carolyn was sharing her thoughts on an interesting talk she had heard that week given by a Hindu woman discussing her traditions perspective and understanding of reincarnation. Martin and myself listened with interest and I remember saying something like "I’m not sure what I believe about such things." We made the usual, probably inappropriate, jokes of hoping we don’t come back as a slug or something similar. I then went and led worship, interestingly we were exploring the subject of “What you give your heart to.” A little later I was thinking about the conversation and remembered a similar one I had only a few weeks earlier with a woman called Elaine. Elaine is very important in Sue’s life. She is someone who guides her spiritually and has led a women’s circle that Sue has participated in these last 12 months. Sue had asked me if I minded having my astrological chart "done" by Elaine. I agreed to, although part of me felt a little unsure about it. I gave my birth details, the time, date and place and then went to meet Elaine for the results. I enjoyed both a wonderful and fascinating conversation with Elaine, during which she asked me if I believed in past lives. I said “I just don’t know. I am truly agnostic about past lives and even what happens to us after we die. I said I suspect that some aspect of us lives on but in what form I have no clue, I have to declare myself as truly agnostic about these things, as I have no knowledge. That said I am open minded, open hearted and my spirit is certainly open to the possibility, but that I prefer to think about one life at a time. That’s more than enough for me. Whatever happens to us when we die it cannot be any stranger than this life, which day by day seems to be way beyond my imaginings. It’s funny I do not feel agnostic about a relationship with a Power Greater than myself in this life, I call myself a “Universal Theist”, but what happened before and after this life I can offer very little I am afraid. Although day by day, as I live more spiritually alive I find myself believing ever more in the possibility. We humans often ask the question, what happens to us when we die, but how many of us ask what happens before we are even born? That may well be a far more interesting question. I would add to that that the purpose of religion is to bring that love to life and to share it with our world. This is the work of transformation. This to me is the true message of Easter. There are many layers to the “Easter Mythos”, that if we allow it to can touch all of us. In order to be touched by the magic of Easter you do not have to believe in the actual bodily resurrection of Jesus, you can believe in Easter without having to accept that this actually happened. In fact perhaps it loses some of its power if we focus purely on this. What is clear to me is that Easter is about the Power of Love that grew from that empty tomb. Whatever we may think about bodily resurrection, something definitely lived on beyond the physical death of Jesus. While his body may no longer have remained in the empty tomb, some beautiful aspect of his life certainly remained. Love was born again, even after the body was killed. 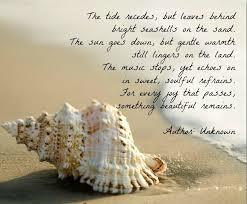 I believe it is the same with every life and the love that life leave behinds, something beautiful always remain. Every life leaves its mark. Every life impacts in some way. We should never think that we are insignificant, that we do not matter. We impact on everyone and everything around us. Everything that we do and everything that do not do matters. There are those who I have known and who have loved me, who have been gone many years, who are still impacting on my life. 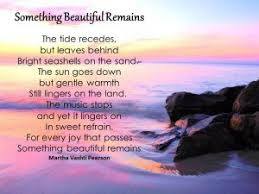 Of their lives, something beautiful remains. 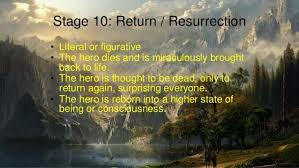 But what about “Resurrection”? What can that mean? 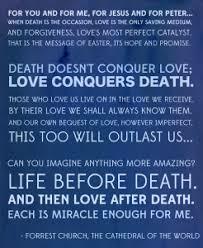 Well “Resurrection” for me is about bringing to life the love that was born again on Easter morning. I have come to believe that this is truly our religious task. I believe that this is what it means to bring to life the “Kingdom of Heaven” that is constantly spoken of in the Biblical accounts. What I have come to call the “Kin-dom” of Love”, for all are equal in such a Commonwealth. To live in such a way of being is to recognise the oneness of all life. This got me thinking of Easter as a metaphor for bringing about this oneness of all life. That what Jesus was trying to teach humanity about was oneness, about harmony. Isn’t this what the “Kin-dom of Love” is? Now of course many believe that the Kingdom is the place that we go to when we die, if chosen. I do not believe that this is what Jesus was speaking of in the Gospels. Remember he said (in the Canonical Gospels) that the “kingdom is within you” or that it is “at hand” (here now). I believe that he was teaching that the key is to bring “The King-dom” alive within ourselves and to share that with our world, therefore building the beloved community of love. I have come to believe that this is the love that is born again as the stone was rolled away and seemingly found to be empty, because from that emptiness love was once again, born again. From nothing comes everything; from Despair is born Hope. We all have this day, we all have this time, what shall we do with it? The key I believe is to fully live it. To bring forth what is within us. To incarnate love in our lives is to become fully alive. The second century philosopher Irenaeus said “The glory of God is the human person fully alive.” This to me is the word becoming flesh and dwelling amongst us, this is the divine love fully alive. This is truly bringing forth the kingdom that is within us. If you want to know the divine presence in life, then all you have to do is to find the courage to live fully alive and then to bless the world with your very presence and thus inspire others to do the same. And thus enjoy the kingdom of God, the kin-dom of love right now. Now I would like to end with these words of blessing by David Whyte. in the darkness and that that carries all you need. this being seen again, new now, and newly alive. Fear and division do seem to be abound. It is not just in this our land but other lands too. It bothers me greatly as it ought to and I know that it troubles most of the people I speak with from day to day. We as, a people, just seem to be becoming ever more anxious. 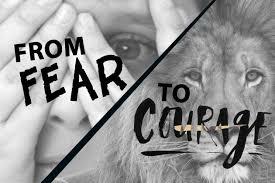 Now fear is common to most folk in one form or another and we respond to it in a variety of ways, the two most common being fight or flight. To turn away in fear is no less damaging than turn towards it in anger and hate. How we respond to one another and to life really matters, as I so often say everything matters, every thought, every feeling every word and every deed. How we are with each other matters a lot. No, we can’t change the whole world, but we can effect one another and inspire one another in ways of loving courage. Yes, we are living in fearful and distrustful times. It matters how we respond to this fear and distrust. Do we turn away in denial? do we respond in anger and make things worse? Or do we live in faith and love and thus overcome the fear with courage, an act born of love. I remember a while ago chatting with an old friend. We got talking about our early childhoods and how we were aware of fear being present even at four and five years old. He told me of his first day at school, that when his mum left him at the school gates, as he walked into the playground, a kind of panic took over him. In the noise and confusion of the children playing he reacted badly and in the midst of the maelstrom he bit another child. He told me that for many years, as he was growing up, this was his response to fear, to attack, to fight. As I listened I recalled a painful memory that my mum always shared about my childhood. It obviously upset her as she took me to the school gate at Birstall County Primary School. She watched me walk in and look at all the children running and playing and screaming, just having fun. Like my friend I was utterly overwhelmed by this, but my reaction to the maelstrom was the opposite to his. I just went and sat in the corner on my own, searching desperately for the courage to join in. Eventually I did, as I have always done, it just took me time to adjust to something new. Last summer I revisited my old school as I showed Sue the places where I grew up. It looked so small but the biggest difference was the cages built around the walls of the school and the security gates you had to pass through to enter. I'm not sure if the gates were to stop intruders from entering or to keep the children in. I remember thinking to myself what a sad sign of the times we are living in. The school is just a few hundred yards from the spot that the M.P. Jo Cox was murdered. Fear is an ever growing presence in our times. It troubles me greatly and we all respond to it in different ways. Fight and flight operate in a variety of ways. I suspect that fear will always be a part of our human make up. We are meant to experience certain forms of it for it points out danger. 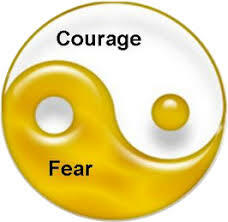 The solution to fear is not to get rid of it, the key is to find the courage to over come it. So how do we overcome the power of this debilitating fear? How do we find the courage to just to be all that we are born to be? Well it takes just a little faith and a little love to create the courage to just be, to live the life that is in front of us. Sounds simple doesn’t it? Which of course it is, but it is far from easy. I believe in love and I believe in life and through living in love and remaining open to life, despite its difficulties and fear present I find the courage to truly be, to overcome the power of unnatural fear. Love will always overcome fear; love will always enable us to find the courage to truly be all that we can be. Now a powerful example of finding the courage to face what is in front of you is Jesus, particularly the Holy week narrative whose beginning is marked today on Palm Sunday. A week that ends with Easter Sunday a day of re-birth, resurrection and new beginnings. But before this we see love, betrayal, pain, humiliation, fear, courage and faith. I remember trying to imagine this experience as I walked around the narrow streets of the old city of Jerusalem and as I myself entered the city through several of its gates; as I watched the pilgrims visiting the holy sites as the local people just getting on with their ordinary lives. The Gospel accounts say that as he entered Jerusalem Jesus did so with the knowledge of what he was going to have to endure. He knew and accepted that his journey was going to be hard in which he would endure a great deal of suffering, but he accepted what was ahead of him; he accepted the reality of the situation. He did so but not without fear and doubt, both were present during this final week of Jesus’ life. In Gethsemane, just before he was betrayed he went off to pray alone, as he often did to commune with God (Mark 14.36). He threw himself to the ground, wept bitterly and prayed a simple prayer “Abba, Father, for you all things are possible; remove this cup from me; yet not what I want, but what you want.” He was in turmoil and genuine fear, for he knew he must face what was ahead of him alone, but eventually he surrendered to what he must do. He found the courage in silence, in prayer. 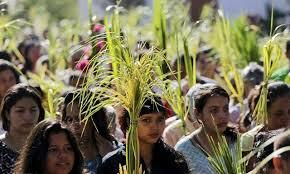 Five days after the triumphant entry of Palm Sunday Jesus was crucified. He accepted that this was part of his journey, but not without fear and doubt. How could there not be fear and doubt? He had to face this agonising death alone, he had been rejected by everyone, even his closest companions. Moments before the end he did not cry out the comforting words of the 23rd Psalm “I shall walk through the valley of the shadow of death and fear no evil for thou are with me.” No, instead he quoted the much starker 22nd Psalm “My God, my God, why has thou forsaken me? Why art thou so far from helping me? He did not quote the comforting words “My cup runneth over”, instead he cried out “I thirst”. Now it may be difficult for we who live in 21st century Britain to identify with this. What can the Holy week narrative teach we who live in our time and place? Surely we will never endure such agony and surely we will never be abandoned by everyone to face our struggle alone? Well let’s look a little more closely. 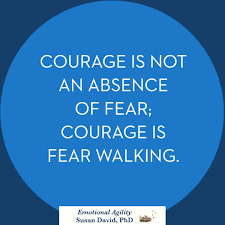 Haven’t we all experienced paralysing fear from time to time and haven’t we all experienced that sense of utter abandonment as we have had to face our struggles alone, which in the end we all have to do from time to time. Yes of course we all have love and we have support, but sometimes we have to face the pain and struggle alone. 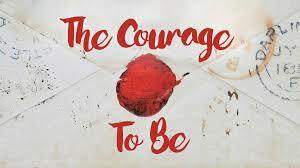 No one else can give us the courage to be who we truly are, this only comes in facing up to life’s vicissitudes. And where do we find that courage? Where do we find the courage to be, to live open and faithful lives, in spite of all the difficulties? Well no doubt we all understand that differently, but for me it always seems to begin in and through prayer. When I stop fighting life and reconnect through prayer I always find the courage to be. As I remember John Midgley once say in a sermon at a time when I was crippled with grief and resentment and was struggling to find the courage just to get out of bed and face life, that “The prayer for courage is the one prayer that is always answered.” I have seen the truth in this statement over and over again, although we still have to walk through the fear with the courage that is born again within our frail human being. As I have also heard it said “Prayer doesn’t change things, prayer changes people and people change things. We will always know the emotion of fear, we will always feel it. We need it, it is a natural instinct. That said we need not be enslaved by it. We need not live in fear of fear itself. To be free all we need do is live with integrity, live in love and the courage to be will begin to be given birth once again within us and it will shine out of us. In doing so not only do we liberate ourselves, but we also become a light to others who in turn may be inspired to liberate themselves and others too. We cannot escape the pain and suffering that accompanies the joy of living. If we want to know the love present in life we also have to accept the pain and suffering we all experience in life too, no one is exempt from this. As we all know only too well. Just look at the last 12 months of your own lives. I’m certain you have all experienced success and failure this year and that you have also known the joy of new life and experiences too, I know that I have. I am certain too that all our lives have known the pain and suffering of illness and death, if not in ours, then in the lives of those we hold most dear. Life truly is awry. When the difficulties come we all cry out in pain and ask why is this happening to me? We ask for our own cup of suffering to be removed, but eventually we accept reality, we surrender to reality and in our own ways cry out “Thy will, not mine, be done”. We get what we get in life, whether we deserve it or not, we certainly can’t avoid some things and if we try to all we really avoid is life’s beauty. No one can escape the suffering that is present in life. It’s not what we are here for. What we are here for, I have come to believe, is to give birth to the love within us, to find the courage to fulfil whatever it is we are here to fulfil , and to truly become all that we were born to be. What do you give your heart to? We live in an increasingly secular age. Less and less people attend places of worship. I am from this generation myself. For most of my life I had no interest in religion. I didn’t see the point. I only became interested due to several spiritual experiences that I wanted to make sense of. I have never found the answers just a life beyond imagining. I am a religious person and I am also spiritual one too. It was not enough for me to experience my spirituality alone. I needed to find ways to express it and people to share it with. This is why I needed to community and this is why I eventually found a home with Unitarians, a community that does not demand that I conform to what it told me was the truth, more a space where I could live with my truth, my faith and doubt and to share that with others. I recently conducted my first funeral with Sue. It was for the mother of a mutual friend. It was a deeply emotional occasion and I was moved observing family and friends coming together in mutual love and support. Like most families there was history and complication but I observed the members coming in devotional support for one another. The father of the grandchildren is Muslim and he and the whole of his family had come to offer respect to the loss in the family and of course to support the three children. This is something I see often in this work and it suggest to me how much we still need places where we can come together in love and share loving support. I believe that we humans need to offer devotion to one another and to life itself, whether we believe in God or not. We also need to worship. Well the truth is that we do in fact all worship, even if we are unaware of the fact that we are doing so. We all hold something of highest value in life, even if we are not fully aware of it. For as it says In Matthews Gospel Chapter 6 v 21 “21 For where your treasure is, there your heart will be also.” What we treasure the most, what we offer our heart to is what we worship. These words by Emerson have been vibrating in the core of my being, the marrow of my bones for quite some time now. Like I have said, a few years ago I would have dismissed them out of hand. I would have simply rejected them and said I don’t worship, how can I worship I don’t believe in anything. That said things did dominate my imaginations and my thoughts and they did determine my character, by falling into non-being and nothingness, by rejecting life I had become nihilistic and this did dominate my thoughts. Well let’s take a look at what we mean by worship. Worship has its roots in Anglo-Saxon English “worthscipe” or similar variations and meant a condition of being worthy, honoured or renowned . It only became connected to reverence paid to a supernatural being during the 13th century. Worship is not something that is only conducted in places such as here at certain times of the week. We worship all the time; we worship whatever it is that we hold in highest regard. As Mr Emerson says what we worship is what dominates our lives our actions. Therefore it is important that we are careful what we worship, for what we are worshipping me are becoming. 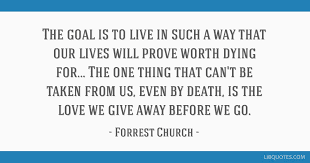 I do not actually believe that these quotes are really about money at all by the, they are more about what we value the most in life, about what is of ultimate worth to us. We need to pay attention to the things that matter in our lives. We all worship, even if we do not believe that we do. 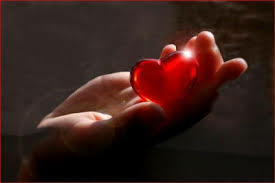 We all give our love, our attention, to something and it is this that dominates our lives. What we treasure, what we offer our heart to, what we worship really matters. For we all worship something or perhaps someone. By the way I suspect the worship of individual people is perhaps the most dangerous form of worship. I was recently in a rather shocking conversation with someone who suggested that as far as Demagogues go Donald Trump isn’t so bad. I found myself half agreeing when compared to some of the demagogues of the totalitarian regimes of the twentieth century and then thought, hang on a minute there is no such thing as a good demagogue. A demagogue is a demagogue and the a personality cult of any kind is so often deadly dangerous. You who come and worship together here, do not all believe alike. Something that I believe we all celebrate, certainly something our free religious tradition celebrates. Our tradition, I believe is not so much believing alike, but loving alike. It’s about celebrating difference and working towards acceptance. This is not easy. To me it requires deep faith. To be a Unitarian is both a blessing and a curse. To be a Unitarian religiously is not easy. To believe in and follow the Unitarian religious ethos is not the easier softer option. Far from it! As Burdette Backus said "We sometimes hear it said by some of our own members that you can believe whatever you please. Actually we are confronted with a paradox; we are not free to believe what we please, we are free to believe what we must." Yes we do believe that everyone has the right to seek truth and meaning for themselves and that each individual’s life experience and their reflections upon these experiences must form their own understanding of their own truth. Our communities accept people as they are warts and all and beauty spots too. 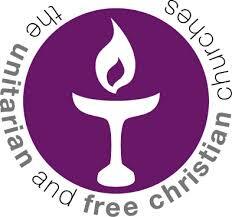 That said to truly call yourself a Unitarian is not just to believe whatever you like. We as individuals must stand by what we believe. Reason and rationality are as much cornerstones of our tradition as are freedom and tolerance. It is not easy being a Unitarian, but then who ever claimed that life was meant to be that way. That said it can be incredibly rewarding because to me it's the only way I've found that can reveal what I would describe as acceptable truth and perhaps most importantly give my heart to that that which I believe, to devote my life to it, to worship. So what is it that you give your heart to? What do you worship? Where is your treasure to be found? 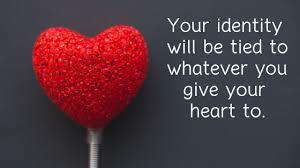 For what you give your heart to will shape your life? Something to ponder perhaps. What we worship, what we love, what we give our heart to dominates who are and we how we are. Therefore it is vital that we are mindful, attentive and critical about our habits. We need to understand what it is that we hold of highest value in our lives and why we do so. This is why we need to pay attention to our lives. This is why communal worship is of such high value to me. Yes ok it was life changing spiritual experiences that brought me in search of answers in spiritual communities, but it is not this that held me there. I found so much more by coming to commune, to worship with others. I discovered that by worshipping with others , if only for one hour a week I was then better able to focus my attention to what really matters during the rest of my time. So be careful what you worship because we all do so, whether we care to admit it or not. For reasons way beyond my understanding see saws have been on my mind for some time. It’s an ancient playground game, no doubt we’ve all played on them. It’s a game that you can’t play alone. You need someone else to play the game. It’s a game that is about moving constantly from one side to another. It’s a game in which equilibrium, perfect balance, is never reached. It’s a game of energy, weight and motion. When was the last time you played on one? It is thought that the rhyme has its origins as a sawyer’s work song, as they would work in pairs and would therefore encourage the other to work faster, thus mimicking the see-saw. It is thought that “daw” in England at least was a lazy person, think of the “Daw Mouse”, always sleeping in Alice in Wonderland. There seems to be a link between balance and movement. An engineer friend attempted to explain the importance of “dynamic stability” the other day. I am told that the instability enables more efficient response in jet engines. It is apparently the instability that allows the self correcting elements in the engine to self correct very quickly. Or at least this is how I remember the conversation. I wonder if there is ever perfect balance, equilibrium in life? It seems to me that everything is always moving,perfect balance is never achieved. Perhaps it is better that way. 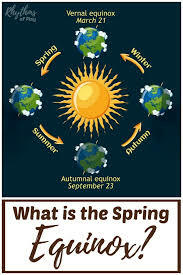 The March Equinox is known as the Vernal Equinox, meaning new, as it marks the beginning of spring. In the northern hemisphere as we tilt towards the sun the days grow longer and sunnier. The September Equinox is called the Autumn Equinox, marking the beginning of this season. In the southern hemisphere these seasons are at opposites ends of the year. The next two Equinox’s will be deeply significant for myself and my family. Next September one of my sisters, our Liz, is going to marry her partner Howard Hughes, they have been together for twenty odd years and at Christmas she finally agreed to marry him. I will be conducting a blessing for them after their marriage ceremony back home in Yorkshire. Also on the next Vernal Equinix I will be marrying Sue. I kind if like the symmetry of the two events. Something beautifully balanced in it all. 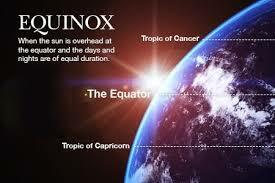 Now it is said that there are magical properties to the Equinox. Many stories, in a variety cultures, speak of this. One such comes from China. Can you guess what it might be? Well according to Chinese legend, for an hour before and after the Equinox on Li Chun (the day when Spring Begins), it becomes possible to balance things that otherwise we would not be able to do. On this day it is said that for a short time you can even balance an egg, due to gravity balancing itself. Now apparently this mythos received a great deal of publicity in the 1940’s, even Einstein commented on it. 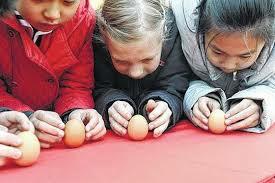 It is said that in the city of Chongqing many such egg standings took place around this time. Now it seems that this wasn’t just a trick, an illusion. The truth is with the right egg on the right surface you can stand an egg on its end on any day of the year. I was thinking of this story as I woke up on Tuesday morning. Later that day I was talking with friends when one of them began to talk about the danger of catastrophic thinking. Then Sue began to tell the story of “Chicken Lickin”. Anyhow people began to look it up on their phones and recite different versions, there are many. It is sometimes called “Chicken Little” and also “Henny Penny”. As I heard and remembered the story I thought about how ideas and thoughts can spread quickly, particularly fear based ones. I reflected on recent news events. We live in ever more troubling times. Negativity does seem to spread so quickly. We seem to be living in ever more extreme times. I hear so many cries of "The sky is falling" I thought about how so much of our public discourse is running at the extremes and how there is so little balance in our living these days. Where is the balance? Maybe we need to find a new kind of equinox, perhaps this is what needs to be given birth to this Spring time. That would be the perfect Easter egg when the day of re-birth, of new beginnings comes. Of course balance in life is something that is hard to achieve. I suspect it isn’t a constant, static, state of being. 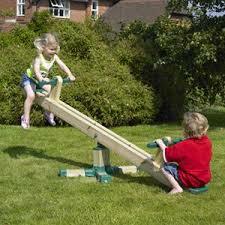 We live more like a seesaw constantly moving from one end to the other. It seems to me that this time of celestial and seasonal balance is a perfect one to check out the balance in our own lives. Where are the extremes in our lives that need balancing out? How are our “umeres”, as the ancient physicians use to call them, are all four in balance? How is your health, your physical, your emotional, your mental and your spiritual health? These four could well be our present day “umeres”, as opposed to those four types of fluids that the ancients use to believe were our bodily "umeres". A balanced life is considered a good life. We are told that we need to balance the books, in the home and in the community. The treasurer at at chapel has to ensure that they are balanced too. A balanced diet is vital to healthy living. Power needs to be balanced in the public sphere, too much power in any individual or even groups hand is dangerous. Balance is vital to performing physical activities. Most athletes are admired for their balance as much as for their strength and speed. Balance is seen as vital by virtually all spiritual and philosophical traditions, extremes in any sense lead to danger and destruction. 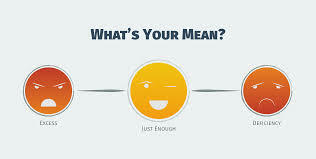 Aristotle proposed that the key to authentic happiness and not mere momentary satisfaction or pleasure arose from living a life of “Virtue” and that this could be achieved by the “Doctrine of the Golden Mean”, by living a life centred on a sort of dampened equilibrium. That virtue lays in avoiding excess. He saw courage as lying somewhere between cowardice and recklessness. One of the great Greek myths illustrates this perfectly. Icarus was advised by Daedalus to fly somewhere between the sun and the sea, but he flew too close to the sun. Centuries later didn’t Goldilocks reject the porridge that was too hot and too cold for the one that was just right, she chose the middle way, thus following the virtuous life. Now please don’t get me wrong I am not suggesting that we never rock the boat and must always live in the middle of everything. Remember balance is not a static thing. It is important to keep on stirring the porridge and to act out whatever our faith in life is. The key is to serve life and the harmony of all life in my view. The importance is to live humbly and to avoid the dangers of hubris that caused Icarus to burn and fall. We are here to fly, of course we are, just not too close to the sun. The key to living in balance and harmony is about relationship with life, with each other, with ourselves and with God, another four modern day “Umeres” if you like. Isn’t this what life is built upon, our relationships. I suspect above everything that this is the key. To ensure that our lives are in balance in these four aspects of our lives. That our relationship “Umeres” are inbalance. So how are your relationship “Umeres”? Are they imbalanced? Perhaps that is something to check, in this season of balance. How are you in relation to your inner self, the people you share your life with, life itself and your God, however you understand God? Maybe that is something you could reflect on in the coming weeks. I have a confession to make. Now please try not to be too shocked, but I have something to confess, which might trouble the most rational amongst you who read this "blogspot". I have to tell you this truth, that I didn’t know I believed in, but I do. These thoughts came to me as I struggled with finding a way to begin this piece that you are reading. The hardest part of creating anything is how to begin and how to end. By the way it’s the same in life. The hardest thing is to begin something new, or perhaps, in actual fact, the hardest thing is to end something old. Which one do you have the most trouble with, beginning something new or ending something old? 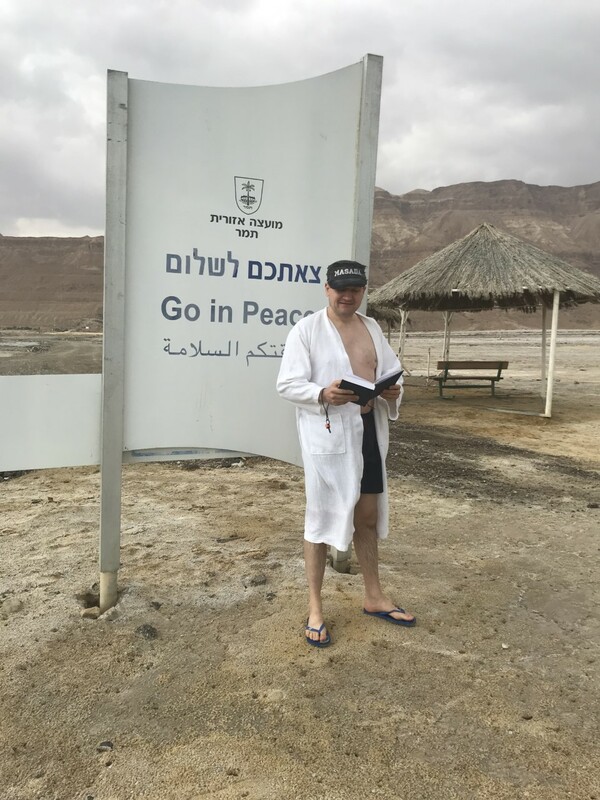 There was one thing that I experienced in Israel – Palestine that I’m glad I did, but am not sure that I would like to repeat. Can you guess what it was? 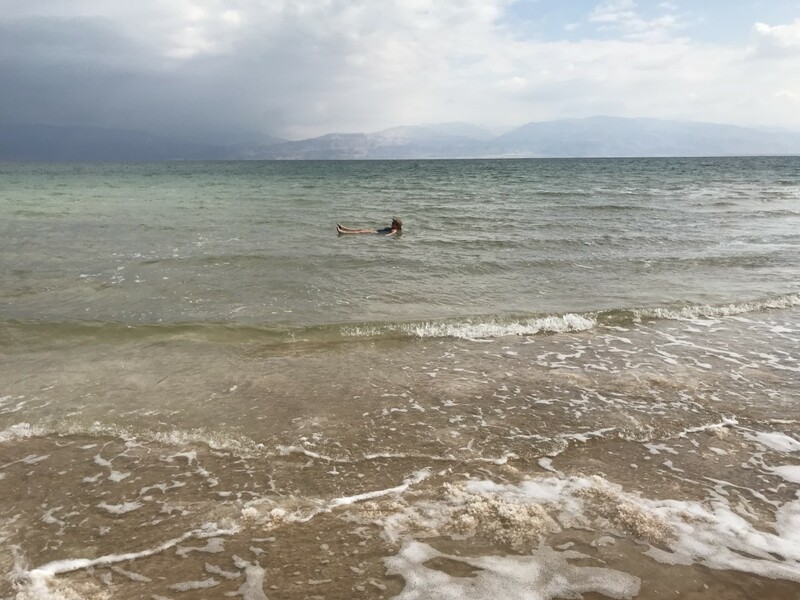 Well it was floating in the Dead Sea, the lowest inland spot on earth. By the way it is something that none of us will probably be unable to do in at some point in the future as it is disappearing. So, I’m glad I did it, but it was not a very pleasant experience. That said as I have reflected on it, it has revealed something of myself to me. Now I had a feeling I was not going to enjoy the experience as soon as I discovered I had to wear flip flops, something I do not like doing. Actually I’m not a great lover of beaches full stop. I love walking by the sea and staring out at it, but I do not like beaches very much. 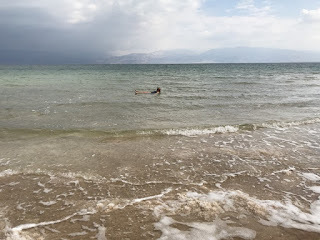 Anyhow we booked into a resort and took the trailer down to the Dead Sea. Everyone else there seemed to be from eastern Europe and were having a wonderful time. I took off my robe and began to walk out into the warm water. It was a windy day and the water was choppy. The ground beneath my feet was rocky. I struggled and stumbled in unfamiliar footwear that began to slide off my feet. I stumbled over a couple of times and cut my foot slightly on the rocks. Not something to do in salty water. I had been careful not to shave that morning as I was warned not to have exposed cuts. 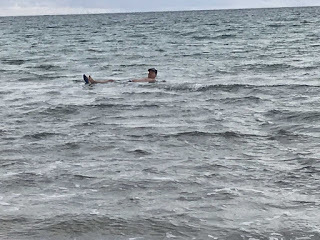 So I kept on stumbling and struggling and not at all enjoying the experience and then I found myself up to my waist in warm salty water and I began to lay down, holding onto a post with one hand and one of the flip flops, that had fallen off, in the other. I let go of the post, I let go absolutely and let the salty water support me. Wow! What an amazing experience. 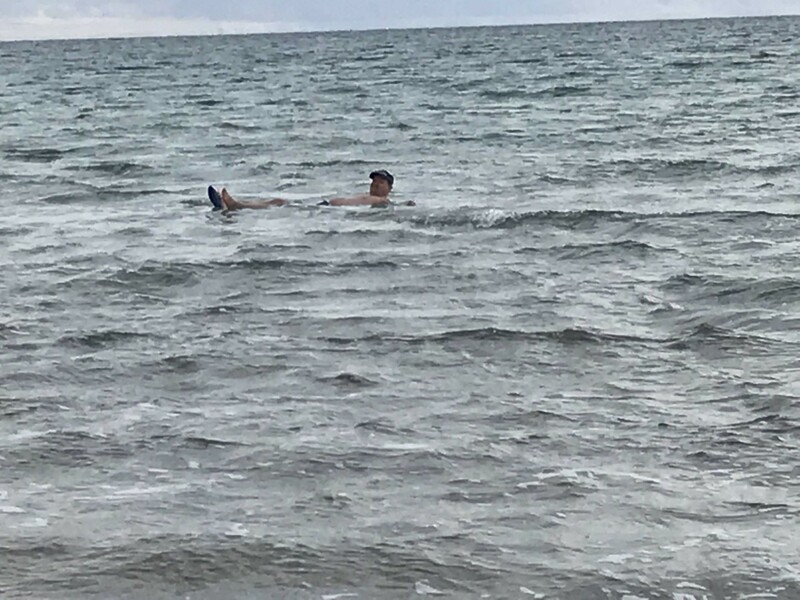 There I was floating on the water, being moved around by the tide and the wind. 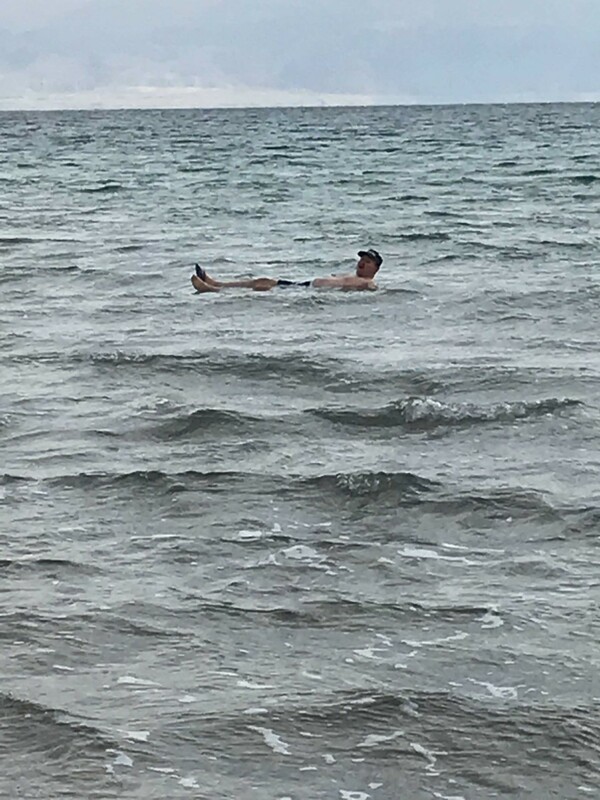 I waved and laughed and just floated. It was lovely, if only for a few minutes. I eventually moved back to the post, struggled to put on the flip flop. I succeeded and then struggled to my feet and stumbled back to shore. I did fall over again, but made it back without too much trouble. I then washed all the salty water away and let Sue have her turn. She had similar struggles, but not with the flip flops. It was a new and perhaps magical experience, but not one I am desperate to repeat. Now you may ask where was the miracle? 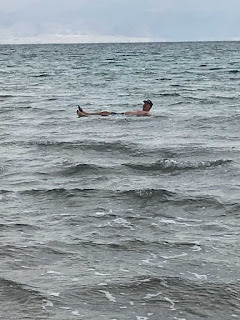 Well the miracle was in the fact that I was able to let go, to let the water support me and to experience floating on water. Like so many folk, I do not let go, I do not surrender easily to anything. I’m getting better at it. Gosh if only it was that easy. If we could just lean back and let ourselves fall, believing that this love would sustain us. How often in life do we trust anyone or anything, how often do we trust life at all? How often do we feel we have to control everything and everyone just to get by? Do we trust life? Do we trust each other? Do we trust that the Creator Spirits deep embrace will hold us? Rarely I suspect. The miracle comes, I have come to believe, whenever we act in faith, play our own part in life and not try to control everybody else’s. Now some people tell me that the struggle is a lack of faith. I do not agree at all. In many ways the struggle is the most faithful thing we ever do. In some ways living faithfully, spiritually alive, is the most difficult thing we do. It is not easy, it is a struggle. Searching for truth is difficult, understanding what we are here to do is difficult, beginning something new is terrifying and letting go of something old even more so. The answers only really come in the struggle as we fight, and wrestle until we finally surrender and often it just comes, from nowhere, as if it were some kind of miracle. And when the sweet surrender comes, the same conclusion always follows. A voice somewhere in the core of my being gently speaks to me in a voice less than a whisper, but somehow more than silence "Just keep on doing what you are doing Danny, all is well. Just keep on doing what you are doing." It is not a voice I hear but a deep knowing. Whenever I think of such struggles with ourselves, with one another, with life, with God I think of Jacob and his struggles in Genesis ch 32. 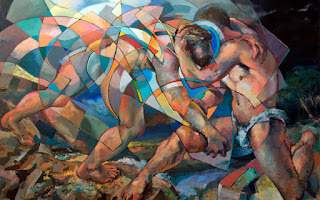 Don’t we all wrestle and struggle with ourselves, with others, with life, with God, or perhaps its others, life and God who struggles with us? So many times I have struggled to just experience what was on offer to me for fear of trying something new, or letting go of something old. I am not alone, I know. Sometimes we try too hard, sometimes we over think things instead of just allow ourselves to go with life. This seems to happen when we are caught up in storms and or troubles, we try to force it. I am certainly guilty of this, but again I know I am not alone. I have witnessed a wonderful example of the miracles that can occur when we are able to stop fighting against ourselves, especially our own bodies. I have on a couple of occasions observed and spoken with Martin, an elderly member of one of the congregations I serve. Martin has for some time struggled with walking due to the onset of Parkinson’s disease. Well it seems that his family have discovered a new technique that has helped sufferers to improve their gate and thus reduce falling, the technique is simply to listen to music while moving, it seems that the rhythm helps the sufferer to walk. Who knew that ABBA, Martin's favourite, could bring about miracles. From what I have been told the technique stops the individual from focusing too much on their struggle to walk, instead they get caught up in the rhythm of the music and thus can walk more naturally, it sets them free. It reminded me of “King’s Speech” and how in the film the King was able to overcome his stammer by listening to music while he spoke. It also reminded me of being distracted while taking my driving test and how this allowed me to let go of fear and to simply drive the car. Somehow when we relax and just let things go we somehow find ourselves able to do things that over concentration stops us from doing. Simple, ordinary, everyday miracles. Not the walking on water types, but the simple walking, speaking and driving kind. Sometimes all you’ve got to do is surrender to the struggle and suddenly you find yourself able to do the things that you thought you could not. It’s simple, but it sure aint easy. Now comes the hard bit, how do I end this "blogspot"? Well the truth is I don’t know. How do I end when the journey continues on? So I thought I’d end with a piece on miracles by Walt Whitman. I will leave it with you and let you form your own conclusions. So please lean back and fall into these words. A friend of mine has been in a new relationship for a few months now. His girlfriend has moved north from the south of England and he, like me, is an outsider who has come to live in Cheshire. He is obviously spending time showing her the sights of Cheshire and Manchester. The other day they visited Chester Zoo, it sounds like they had a good time. While we were chatting he told me about the different monkey enclosures, particularly a group of Chimpanzee’s. 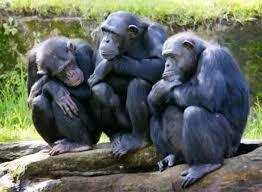 Now the name for a group of chimpanzee’s is a “congress”. My friend observed himself, the chimpanzee’s and the other people there that day and said it was like sitting in an AA meeting. He noticed a couple of elders who seemed to be getting on quite well. The zoo keeper spoke with him and said that the day before the two old timers were screaming at each other, but had made up today. She said that the reason that they do not carry their arguments into the next day is that they know that the congress needed them to put aside their differences for the greater good, that it could not function if they were at war with each other. So they put aside their personal wants and needs for the greater good. Oh if only we humans could be that wise and see the wider view, give up our small little grievances and live for the greater good. Maybe that’s something to work towards this Lenten season. If we are going to make any personal sacrifice this year, maybe we should put aside our personal grievances and move towards building a human “congress” for the greater good of all. We seem to be living in ever dividing and divided times, this is something that troubles me deeply. Violence also appears to be on the increase, both here and in other lands. I was deeply shocked by the death, by stabbing, of the young man in Hale Barns last Saturday. Apparently, it was due to a turf war. Knife crime is something that young people have to face increasingly. Not that violence, or the glorifying of it, is anything new, sadly it has always been with us. Thank god that we do not have a gun culture in this land and our young people do not have to face what the school children in the USA have to. Surely of all the freedoms we cherish, the one not to be killed trumps all others. As I look back at my time in Israel – Palestine I think one of the saddest sights I saw was that of teenagers in army uniform with machine guns. Yes our young people have their troubles but compared to many in other lands it is not on the same scale. I see no glory in violence and yet so many of our "heroes" have lived by it. 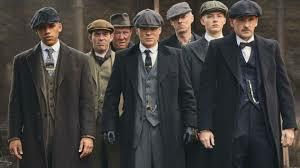 During the last century society seems to particularly glorified gangster culture, from Al Capone, to “The Krays”, “The Godfather”, “Scarface” and or in recent times “Peaky-Blinders”. Is there really glory in violence towards others, just to get your own way or protect your “patch”. I would much rather hold up those who promote none violence. What was it Jesus said on “The Sermon on the Mount” “Blessed are the Peace-makers, for they shall be called children of God”. Aren’t we all children of God? Aren’t we all from the one tribe of life? If only we could be as wise as that congress of Chimpanzees at Chester Zoo and put aside our personal squabbles for the greater good. Glorifying violence is not a new thing by the way. I remember as a child I loved films like “The Alamo”, “Khartoum”, “55 Days in Peking” and the mini series “Masada”. Now I lacked the understanding of what these historical events were really about, instead I got caught up in the pomp and ceremony like most young boys. So I do get what these young people experience, although I was never violent myself as a boy and teenager. Committing violence has always felt deeply unnatural to me, I thank God for that. “Masada” and the heroic defense and sacrifice that its mythos has portrayed is one story that has stayed with me over the years, which is why I so wanted to visit it during my recent trip to Israel - Palestine. We set off very early one morning and drove their and began the long walk as they day awakened. We had planned to get there for sunrise but didn’t quite make it. It was long walk to the summit, it really took it out on the calves. Something I noticed all week, I am too use to the flatlands of Cheshire. We reached the top and took in the ruins and attempted to empathise with those brave souls who had fought off the Roman legions for so long, until they chose to sacrifice themselves instead of being captured. Masada is said to have fallen on 16th April 63CE. Its "mythos has risen to enormous symbolic importance in Jewish history, particularly since the Holocaust and the creation of the state of Israel. The story did not have the same importance in early Jewish history as it was considered controversial due to the nature of its mass suicide, forbidden in Jewish law. The story survived because of its recording by the historian Josepheus. 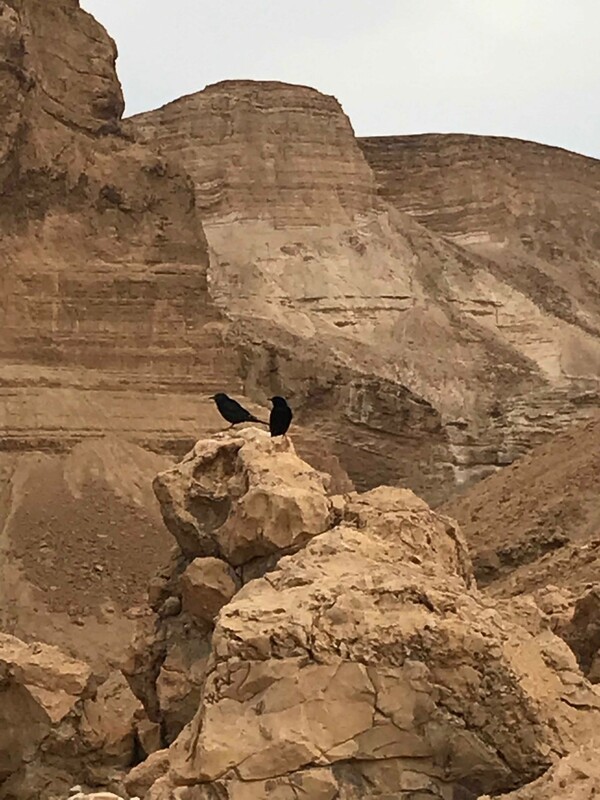 The inhabitants of Masada, from the rebellious Zealot sect known as the Sicarli held out the Romans for months but in the end facing starvation and or capture into slavery they chose mass suicide. Lots were drawn and ten took the lives of the other 950 and one took the lives of the other nine, before taking his own life. It is said that when the Romans finally found them they were deeply disturbed by what they saw. It was a strange feeling walking round the ruins and soaking up the history and atmosphere. 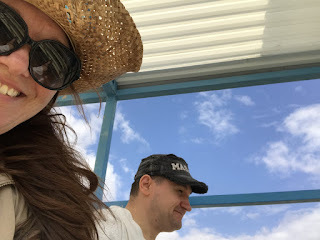 As we travelled down from the summit of Masada, this time in the cable car, I thought of another example of self-sacrifice for the greater good that I had visited last summer with Sue. This was the village of Eyam in Derbyshire, just three miles from Great Hucklow. Another powerful story I remember from my childhood. Eyam is known as the “plague village”. 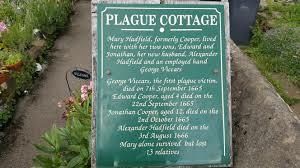 It was the village that basically quarantined itself during the plague of the seventeenth century. It cut itself off from all the surrounding villages so as not the spread the plague that had arrived on cloth from London. Of the 350 village inhabitants only 83 survived. Incredibly one of the survivors was the grave digger. This is a powerful example of self sacrifice for the greater good. 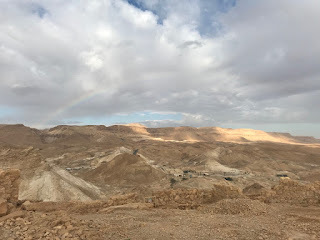 That said it is not one that is glorified in the same way as Masada and I did not buy a hat saying “Eyam” on it when I visited, as I did at Masada. Sacrifice is heralded as one of the great human qualities and it is certainly the theme of Lent, that we have now entered. That said sacrifice can at times lead to all kinds of destruction and is not always for the greater good at all. One story that has become central to the three monotheistic traditions is that of Abraham and Isaac. It is found at the beginning of the Bible in Genesis, when it is thought that God is working out his relationship with man. It is a story that makes little sense in any literal way for we who live in the 21st century. And yet there are universal themes if we pay close attention. It portrays moments of truth, something we all face and unavoidable decisions that must be made within these moments. There are lessons about paying attention and not being too focused on your perceived mission. There are lessons about the dangers of sacrificing others for your perceived view of what is right. Ultimately I discover a lesson about the sanctity of all human life, but maybe that is just my eyes. How many from all three traditions have being willing to sacrifice others for what they see as obedience to what they understand is God’s will? By the way such action is not limited to monotheism or even religion. How many people have been willing to sacrifice others for what they see as the greater good? The last century is littered with such examples. Which one did he choose? Well it depends on the warrior. Could he walk away and obey none? Maybe instead he listened to the beat of his own heart and for once refused the command for violence. Abraham did not take his sons life. Instead he was awake enough to hear that voice that I believe never stops speaking if we could just listen to it. Sadly too often we are closed off to empathy for one another and somehow justify violence for one reason or another, or sometimes none at all. I believe that at the heart of The Unitarian tradition is the principle that we do not follow anyone or anything blindly, to test what we are told and make wise decisions, not only for ourselves but also for the greater good. Our tradition teaches the importance of listening to the heart but also to discern what is the compassionate thing to do. There is a form of sacrifice to which I believe we ought to be adhering, that is to live beyond our narrow selves and do only what enhances life and to think of creating a human congress, like those chimpanzees. So let’s look for the great examples all around us and attempt to live our lives by them. Those from the past and those from the present. Let’s not glorify violence in any form, lets instead hold up as the great example those whose work was doing good, not merely for themselves, but for the good of all. 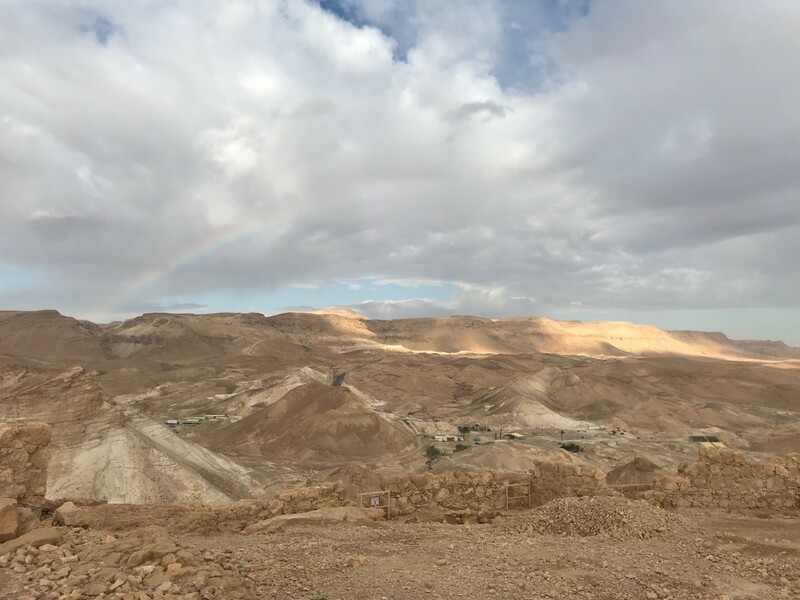 During my time in Israel – Palestine I found myself quoting Moses’s well known words from Exodus, during his final sermon just before the people entered the “Promised Land” without him after 40 years in the wilderness. The words are of course “I lay before you life blessings and curses, therefore choose life”. To me this is what it means to live truly alive, to live spiritually; to live spiritually alive to embrace the whole of life as it truly is. Now my use of the phrase has been questioned, especially the choice of the word “curses”. What is questioned is the idea that life’s troubles are seen as curses. I have to say I kind of agree with the protest, as to see life’s troubles as curses is to see them as something that has been bestowed upon you , a kind of punishment and burden that you have to live with. So I’m trying to come up with an alternative to curses that means the troubles and sufferings that we live with each day. You can’t pick and choose I know that. To know the joy of life, you also have to know the sufferings, for as the Buddhist say, life is Dukkha. To live spiritually alive is of course to lean into the light, or perhaps its more than this it is to let the light shine out of us, to truly become our destiny and become the light of the world. 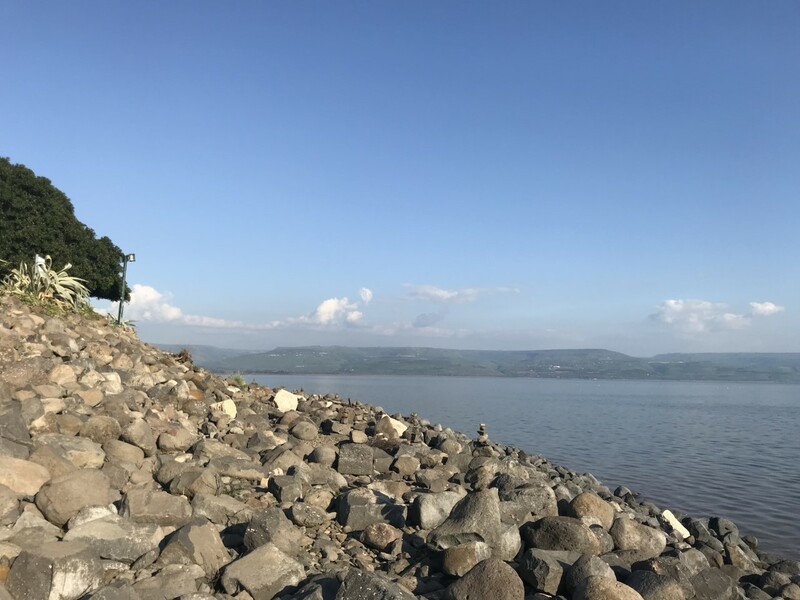 Now a classic example of the mixed nature of life came on the day I proposed to Sue at Capernaum at the water’s edge of “The Sea of Galilee”. A day that will probably be the most joyful in memory had actually begun in heartbreaking tears. I had awoken to the news that a woman I have called “Auntie Hilda”, or “Auntie Hazel” as she preferred as she didn’t like the name she had been given, had died. She had been my beloved grandfather’s partner since I was two years old and her children Samantha and Troy were like cousins to us as we grew up. So that morning I wept for her, her children, my loved ones and of course my grandad who died a few years ago. In many ways it was the tears that opened my heart fully to the experiences of the day and helped me find the spot and moment on that rock at Capernaum as we stared out at Galilee that beautiful day. As auntie Hilda’s children Troy and Sammi said a few days later she would have been so happy for me to hear of mine and Sue’s engagement, I will go and say my farewells to auntie Hilda next Friday. I hope there is Walls Vienetta at the funeral, something she always gave us for "afters" when we went for "tea". 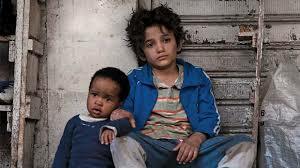 The film tells the story of a 12 year old boy named Zain who is growing up in poverty in Beruit. He is deeply embittered by his situation, he has no official identity and he and his family struggle to survive. The film is told in flashbacks. He had been imprisoned in the notorious “Roumieh” prison for attempting to kill the man who is responsible for the death of his sister Samar who had been sold to him for marriage at just 11 years old. From the prison, encouraged by a tv programme, Zain launches a lawsuit against his parents, suing them for the fact that he has been born. Zain is a modern day anti-hero, cynical despite his years. Foul mouthed and living on his wits, but with a caring heart. Following the sale of his sister he runs away and meets all kinds of characters. He ends up looking after an Ethiopian cleaners child, who is also on the run, while she works. She is arrested and he is left with the child alone, struggling to survive. In the end circumstances lead to him having to give up the child to a people trafficker. Zain returns home to find identity papers in an attempt to escape Lebanon but the family has none. He learns of the death of his sister which leads to him attacking the man responsible and he ending up in prison. There is some hope the in films ending, as Zain gets his identity papers and the Ethiopian woman is reunited with her child. That said it also ended in a deep feeling of sadness too. A sadness for the plight of so many people caught up in poverty and violence in this world. It led to a sense of powerlessness too for the plight of these people and all those who suffer. This is real life though. Something that cannot be avoided. It brought myself and Sue back down to earth too. It brought more tears. Joy and suffering go hand in hand. To know joy is to also know suffering, you cannot have one without the other. Being in a place of joy opens your heart and it should make you more aware of the sufferings around you. It can make you very vulnerable too, an open heart is a vulnerable heart and an awakened heart. It’s also worth noting that just because you are filled with joy, it does not mean that others will necessarily share in this. 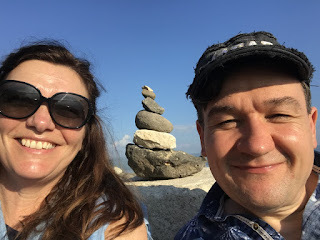 There has been a small amount of negativity towards Sue and mine’s loving announcement and we both have our share of suffering amongst our nearest and dearest even in our joy. Does this mean we should inhibit our joy? I do not think so. It does not serve the world and actually only feeds the darkness ever more. It is easy to be cynical to hide the light, this is a betrayal of God given life. I know only too well the dangers of this. It’s strange how it came to me as I was talking over the weekend as I haven’t thought about it for years. It reminded me of a scene from that nihilistic film “Fight Club” and the leading character saying that he was going out to destroy something beautiful, because he felt so terrible inside. Sometimes seeing the light can remind us just how dark things truly are and can lead to ever darker responses. Light doesn’t always encourage others to seek ever more light. 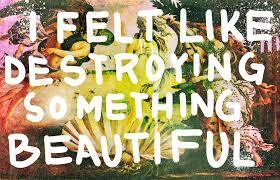 It can lead us to turn away, reject life and sometimes lead to the destruction of light and life. To live fully alive, is to accept life in its entirety, both the joys and sufferings. It is to walk with others in their sufferings too, to hold them in their time of need and to let them hold you when you need comfort too. It is not to hide your light. This serves no one, although it might not always be appreciated. How often in human history have we destroyed the lights that have shined the brightest. That said sometimes you can spend too much time basking in that light and that serves no one too. 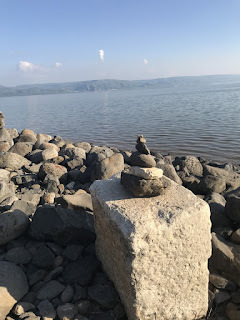 We did that day at Capernaum. So much so that it meant we didn’t get to stand on the ground that is said to have been where the “Sermon on the Mount” took place. We didn’t quite get there. We were a bit like the grand old Duke of York, we only got half way up the hill, before we had to turn back as the car park was closing. We didn’t need to in order to live the message that was delivered there. A message that is central to my simple faith, particularly verses 14, 15 and 16 (Matthew chapter 5). Life is full of opposites. There is joy and there is suffering, there is love and hate, there is hope and despair and there is light and dark. To live fully alive is accept all and to respond appropriately and to them and not be afraid to weep for all. 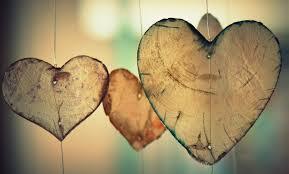 To live fully alive, spiritually alive, is to live with your heart burst open, it is to live with a vulnerable heart. 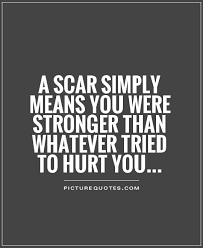 A vulnerable heart can be easily hurt and easily wounded, it will carry many scars. Do not be afraid to shine your light, or to show your scars for those around you need to see them. This brings to mind a story I heard a few years ago. Like all great stories it is one of mythos, it may be apocryphal, it may not be 100% true, but there is a deep truth within it. It is the story about the soldiers who survived the battle of Agincourt. How each year, on the anniversary of the battle, they would stand up on their tip toes and proudly bare their scars for all to see. Scars of battle, scars of a life fully lived that they brought into that moment and in so doing became fully alive. Scars they were not afraid of, that they were not haunted by. As they stood there they stood proud, fully alive, shining their light for the whole world to see. They chose life in all its joys and sufferings.